Today’s Indie Author Interview is with Patrick Hodges, author of the contemporary YA James Madison series, including books Joshua’s Island, Ethan’s Secret, and Sophie’s Different. 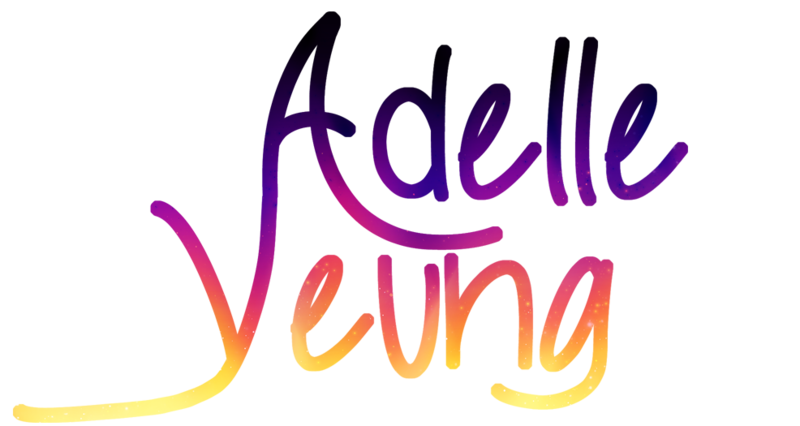 Adelle Yeung: Tell us about the James Madison series, and why you decided to self-publish it. Patrick Hodges: It is a three-book series that takes place at a middle-school in Phoenix, Arizona. The kids that attend this school are fifth through eighth grade (age 10-13). I based the school, and some of the characters, on my middle-school experiences. My books deal with a lot of issues that kids of that age face everyday: things like bullying, peer pressure, drugs, alcohol, sexual development, and domestic violence. AY: After research, did you decide right away that you’d self-publish, or did you actually try to query your work? PH: I decided pretty much right away. I found out that self-publishing is pretty easy, so I went that way before I could change my mind. AY: Do you think you’ll try to publish any of your future work traditionally? PH: I might do that with my next series, now that I have a track record. Three books, lots of reviews, a couple of awards. AY: Oh cool! Congrats. Did you submit the books into a contest? PH: Yes I did. I submitted my first book, Joshua’s Island, in the Readers’ Favorite Book Awards last year. I was so shocked when I found out that they’d awarded it a Gold Medal. I entered my second book, Ethan’s Secret, for consideration this year. AY: When will you hear back from them? PH: Last year it was on September 1, so I’ll assume it’s the same this year. I also entered Joshua’s Island in the RONE Awards. It is a finalist in the YA/General category. I find out the results of that contest in October. AY: Awesome 😀 Hope you hear good news for both of them. AY: You mentioned you got a lot of reviews. Is there a special method of going about finding these reviews? PH: I have made contact with a lot of authors, and authors more than anyone know the value of reviews. So I have offered my book to them in exchange for an honest review. I’ve also gotten reviews from random readers and people I’ve met at book fairs and author signings. I’ve had three 12-year-old girls in the past year tell me I’m their favorite author EVER. PH: Yeah. That’s better than awards. AY: What’s it like going to such events? PH: It’s fun! There are good events and not-so-good events. I just really love interacting with readers, especially kids, since it’s for kids that I wrote my books. AY: Do you ever get nervous at events? PH: At first, definitely. But I’ve gotten the hang of it now. AY: And you get to meet other authors, schmooze with readers, promote your work? AY: Nice 😀 Would you say it’s one of the more effective ways of getting out word of your book? PH: Maybe not the MOST effective, since most people haven’t heard of me (yet). But it’s definitely the one that’s the most satisfying. When people buy my book and ask me to autograph it, it’s awesome. I don’t get that when someone downloads it from Amazon. AY: Are your books available somewhere other than on Amazon? PH: My first book is available for free (in ebook form) on Barnes & Noble, Kobo, Apple iBooks, and a few other places. The paperbacks of all three books are also available on other sites besides Amazon. AY: Do you think any of the sites yield more sales than any of the others? PH: I have no idea. I only made Joshua’s Island permanently free everywhere recently. AY: Did you format the books yourself? PH: No, the company that does my book printing did that for me. AY: What about the cover art? PH: I found an artist in the Phoenix area that does great work. Her name is Glenda Rankin and she’s amazing to work with. She did all three covers for me. AY: Did you edit your own book? PH: I had a professional editor look at the first book, and her help was invaluable. For my other two books, I had a lot of help from many of my author friends, who help me whip them into shape. As for the little stuff, like grammar and spelling, that I did myself. I have a great eye for things like that. AY: Does the editor for your first book have a website, and would you like to name off the authors who helped you? As for the authors who helped me, there are so many! But I’ll give special props to Bryan Nowak and Kayla Howarth. AY: Going back to book signings, do you offer signed books from a website? PH: I’m set up through a website called Authorgraph. I think that only applies to ebooks though. AY: Do you have a favorite way of connecting with your readers? PH: In person is the best, because I like to look at their faces when I speak to them. But I’ve been contacted by fans (including the 12-year-old girls I mentioned) on both Facebook and Twitter. As well as through my author email. AY: Is social media pretty helpful in marketing your book? Or do you think there’s something more effective? PH: Social media works for some authors, for others it doesn’t. I think it works for me. The best ways to market, for me, is to do promos on sites that get word of your books out to thousands of people. Places like BookBub and EReader news Today. AY: Have you come across anything that totally didn’t help or even seemed scammy? PH: Yes I have. My first experience was with a vanity press, who, I am sad to say, suckered me into paying too much for nothing. But I’ve learned my lesson. PH: Author Solutions is the parent company. They own presses like iUniverse and Xlibris, among others. AY: What do you love about being an indie author, and is there anything you dislike about it? PH: I love being able to tell stories that people enjoy, and I love touching the lives of kids with my words. I love the fact that I will leave something worthwhile behind when I’m gone. I wish I didn’t have to do all my own marketing, but it’s part of the game. I have a whole list of things I don’t like, but I won’t go into it, or we’ll be here all day. AY: Now, I see you have an audiobook for Joshua’s Island available. Did you do this through ACX or something else? PH: Through ACX. My second book is being narrated as we speak. I’m hoping to have that out next month. Found two GREAT narrators to do both books. AY: How’s the audition process work for you as the author? What’s it like trying to find a male and female narrator? PH: I didn’t initially set out to have dual narrators. I listened to several auditions and ended up choosing a lady named Carrie [Goodwiler] to do the whole thing. But my books are written in dual point of view, alternating between a boy and a girl. So she got her vocal coach, Michael [Yurchak], to do it with her. AY: Oh, that’s really neat. Does Ethan’s Secret also have two narrators? PH: Yes. Same two people. I can’t wait to hear what they’ve done with it! AY: What’s it like to hear your characters come to life through another person’s voice? PH: It’s surreal. I’m sure I had them speaking differently in my head, but Carrie and Michael are so good that the way they do the characters is now how I hear them in my head. AY: Do you think, if you ever rewrite or edit Joshua’s Island again, that their portrayal of the characters might change how YOU portray them? PH: I don’t think I will do that. My characters are exactly how I want them. And everyone else seems to like them that way, so they’d probably kill me if I changed them! AY: Has the ACX process been pretty smooth for you? PH: Yes. I have no complaints at all. AY: Would you like to see your books in another medium? TV show, movie, something else? PH: I would LOVE to see my books turned into movies, either for the big or small screen. Of course, I know that if they get optioned for adaptation, I will likely have no say at all in it. But it would still be cool. AY: Do you have a dream cast of who might play your characters in a live adaptation? PH: Yes I do. Of course, most of my characters are 13 and under, and there aren’t a lot of world-famous actors that young. But I found a website where you can ACTUALLY pick your dream cast. AY: Any particular reason why you decided on these actors? PH: I based my choices on their look, and whether they’re right for the part, and I can see them in the role. But the kids are the stars in my books. AY: You said on the sign-up form that your favorite character is Kelsey Callahan. Did you actually know anyone like her in middle school? PH: No, she’s totally made up. I wish I had, though. She’s awesome. She’s smart, friendly, fearless, and absolutely loyal to her friends. I’ve had a couple of readers say she’s one of their favorite literary characters ever. AY: You think everyone needs a Kelsey in their life? PH: She’s the kind of best friend every kid should have. Yes. The world would be a better place if there were more people like Kelsey in it. I know I’m making her sound too good to be true, but that’s okay. She’s not a Mary Sue. She does have faults, and she’s not bulletproof. She wouldn’t be “real” if I’d made her that way. AY: What do you wish you had known in middle school that might have made it easier? PH: Where to begin… That just because I was smaller and weaker than all the other boys didn’t make me less of a person. That the bullies had power over me because I gave it to them. AY: Is that something you address in your books, and something you hope your readers will take away from them? PH: I try to infuse my stories with a lot of empathy. Kids who read my stories will know what it feels like to be bullied, to feel alone and hopeless and helpless. I want it to increase their awareness about things like bullying and other issues. I also wanted to tell a story that no matter how bad things get, they can always get better. The hero in my story, Joshua, goes through hell, but he ends up winning in ways he never would have thought possible. But in the end, a book is just a story. I want readers to be entertained as well as informed. AY: Did you find any scenes particularly hard to write because they hit too close to home? PH: Yes. There are several scenes where Joshua gets physically beaten by the bullies. I was never bullied like that, but it often felt like I was. There was a scene when he told his story to an adult for the first time and broke down crying. That was very hard to write. AY: Are your bullies ever sympathetic characters? PH: In most cases, no. I made them monsters. There was one bully in the series, however, who I gave a chance for redemption. A bully that Kelsey had to deal with. AY: Would you like to spoil how that turned out? PH: In Joshua’s Island, Kelsey relates a story about how on the first day of fifth grade she is approached by the school bully. Kelsey, you see, just moved to Phoenix from Denver, and she made the mistake of letting a bully torment one of her friends back in Denver and she didn’t do anything about it. When this new bully gets in her face, Kelsey decks her. She had a reputation for picking on smaller girls, but after that, no one was afraid of her anymore. Three years later, in eighth grade, the girl approaches Kelsey and tells her that she became a bully because of a severe domestic violence issue in her family. She thanks Kelsey for “taking her down”, and they make up. Most of my other bullies, though, are jerks at best. At worst, they’re monsters. AY: What other kinds of adolescent social issues do you touch on in your books? PH: Underage drinking, drugs, and depression. Sexual development (very important as 13 is the age it starts for a lot of kids). One of my characters has to deal with the realization that she’s gay. AY: Things you wish you had known more about when you were thirteen? PH: Definitely. Most kids that age live in their own little world and don’t pay attention to the big world around them. AY: Is there any other advice you’d like to give to adolescents? It’s okay to be yourself. If you have to change who you are to “fit in”, then you lose yourself in the process. Kids are horribly cruel sometimes, but if you look hard enough, there’s always that one person who can change your life. For the better. My books are about a lot of things, but at their core, they’re all about friendship. Friendship, unity, and love. Between friends, between family, between a boy and a girl. Teenage girls who base their entire existence on how boys (or, usually, A boy) feels about them. And the perfect guy in the story is ALWAYS hot, with rippling muscles. The main character is always pretty but never thinks she is. Why can’t normal-looking teens be the star? AY: Which, I mean, seriously, not everyone is a super model. PH: Exactly. Which is why Joshua’s Island is so special. Imagine one of the prettiest girls in school falling head over heels for a short, scrawny, bullied outcast. None of my heroes or heroines are “typical” for the genre. AY: Is it important for you as a writer to break the typical mold for hero/heroine? PH: I think it is. AY: Still, I think people have a natural tendency toward “prettier” people. Like, in Divergent, Tris was supposedly “not very pretty,” yet in the movies, Shailene Woodley plays her, and she’s pretty gorgeous. PH: Yup. Of course, I realize the commercial appeal of having “pretty” characters. Harry Potter and Hermione were much better looking on the screen than they were supposed to be in the books. PH: Which is not to say I’m going to go out of my way to ugly up my characters… most of my characters are handsome, or cute, or pretty, but not in that typical glamorous way. You have to go deeper to find the beauty. AY: Exactly! If I really like a character, and they’re described as physically plain, I’ll still see them as attractive. I also think that teens, who are just beginning to develop sexually, are more partial to those who are physically attractive, so I think it goes along with the genre. PH: That’s the core of being an early teen. Girls want the hot guy, guys want the hot girl. Even if it’s totally unrealistic. I always wondered back then why girls would rather chase a guy who wanted nothing to do with them instead of having a sure thing with me. But that’s middle school for you. Grown ups tell you to reach for the stars. Takes years to realize that not many people actually REACH the stars. But Joshua, by doing nothing more than being himself, wins the love of a beautiful girl. And they spend their entire lives together. AY: I think being yourself is a valuable lesson 🙂 I value it more now as an adult. Is there anything else that you’d like to add about your books, writing, bullying or anything? I am currently writing a sci-fi/fiction series (not YA), and I hope to have something out by next year.. If anyone would like a free e-book copy of any of my books, you can reach me at patrickhodgesauthor@gmail.com. If you have kids between 10 and 15 who LOVE to read, my books are perfect for them. Joshua’s Island is available for free, and I welcome reviews, of course! Joshua is small for his age. He has been bullied relentlessly for years, and all of his friends have drifted away from him. Eve is a pretty girl who has just been recruited into the popular girls’ clique. They couldn’t be more different. But as they begin their final year of middle school, their lives intersect when they are paired together as lab partners in Science class. At first reluctant to be near him, Eve soon realizes that not only is Joshua nothing like she’d been led to believe, but that their school hides a very nasty secret. The unlikely pair enter into a dangerous relationship that will teach them both the true meaning of friendship, loyalty, and most of all, love … a relationship that will not only change both of their lives forever, but the complexion of their entire school. Alpha Academic Press is pleased to announce the second novel by the renowned author of Joshua’s Island. Kelsey Callahan is smart, tough and fiercely loyal to her friends. She wants nothing more than to follow in her father’s footsteps and become a detective just like her hero, Sherlock Holmes. A natural leader, problem-solver and lover of mysteries, Kelsey finally gets the chance to solve a mystery of her own when Ethan, a cute but enigmatic loner, appears in her class. At first mildly infatuated with him, she becomes even more fascinated by his behavior: namely, that he dresses like a ‘bad boy’ but doesn’t act like one. As her friendship with Ethan deepens, Kelsey soon learns that there are events at play in Ethan’s life that are both tragic and dangerous: events that, the deeper she digs, could end up threatening not only their relationship but their very lives. Middle school is all about fitting in. It’s about not standing out. After all, kids can be cruel. Sophie Devereaux doesn’t fit in. She and her two best friends, Marissa and Michelle, are seen as misfits. Things only get worse when Sophie runs afoul of Alexis, the most popular girl in school. Ayden Saunders doesn’t fit in. Tragedies in his life have caused him to retreat into the shadows, where he watches his classmates from afar and fantasizes about being a superhero. When Ayden overhears a plot to ruin Sophie’s life, he knows he can no longer sit on the sidelines. The two of them soon discover, to their amazement, that life is not about fitting in, it’s about being true to who you are. I make it a point to bring an empathic view to all my books, to give readers a view into what it’s like for kids at that age when they just start to mature into young adults. For me, it’s all about the characters. I love creating characters that jump off the page, that feel like real people no matter how old the reader is. Because without great characters, you really don’t have a great story, do you? If you have a question or comment, feel free to contact me on any of my social media sites! Next ›Book Binge! An Eclipsing Autumn is 99 cents!